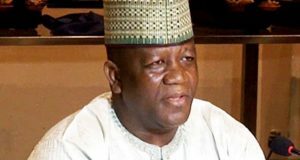 Zamfara Governor, Abdul’aziz Yari has declared his intention to contest for Zamfara West senatorial seat ahead of the 2019 general elections. 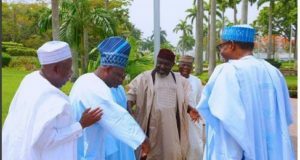 Muhammmadu Buhari, the President of Nigeria and three state Governors elected on the platform of the All Progressives Congress (APC) are currently locked in a crucial meeting. 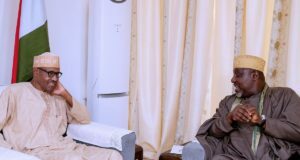 Muhammadu Buhari, the President of Nigeria on Sunday in Daura, Katsina state met behind closed doors with Imo and Zamfara Governors Rochas Okorocha, Abdul aziz Yari. 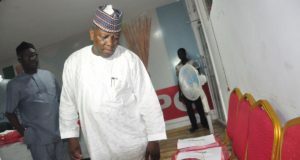 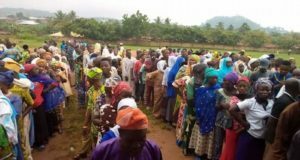 State governors elected on the platform of the ruling All Progressives Congress (APC) have finally bowed to pressure on the issue of tenure extension for party officials at all levels. 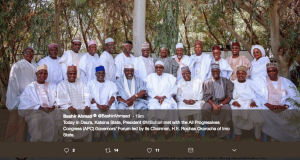 The ruling All Progressives Congress, APC, has reacted to claims by some of its governors that the National Executive Council, NEC, lacks the powers to extend the tenure of its National Chairman. 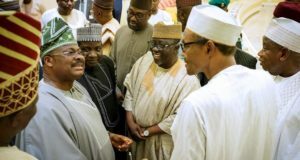 President Muhammadu Buhari met behind closed doors with members of the 18 state governors of the APC Governors’ Forum in Daura, Katsina State on Friday.